For the budget-conscious Tesla fans who can't wait for a Model 3, a cheaper version of the Model S is now available. Tesla said it has released a new Model S 60 Thursday which starts at $66,000. An all-wheel drive version starts at $71,000. The "60" in the Model S name refers to the battery size, which determines the range of the car on a single charge. The new Model S 60 is estimated to go 210 miles on a single charge, which is a bit less than the range of the previous cheapest Model S. A slightly larger battery will let the "60" go 249 miles, but it'll cost you at least $74,500. Even the $66,000 starting price still puts it firmly in luxury car territory, even though it is about $23,500 cheaper than the next cheapest version of the Model S -- the longer-range, all wheel drive Model S 90D that starts at $89,500. The Model X, the Tesla crossover which debuted last year, has an $83,000 starting price. The Tesla Model 3, the company's first mass market car, will have a $35,000 starting price. But Tesla won't be able to start making it until late next year. 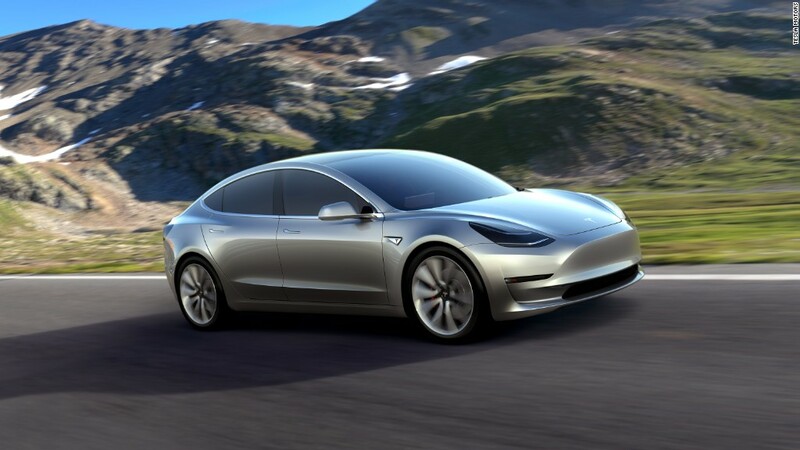 And there is already a waiting list of more than 375,000 buyers who have put down deposits of about $1,000 for the company's first mass market car, meaning those just ordering a Model 3 today will have to wait until 2018, or later, to take delivery.